In a large, heavy frying pan (cast iron works best), pour the oil and heat until very hot. Remove skin from salmon and squeeze lemon juice over fillets. Sprinkle with garlic powder, cayenne, salt, and pepper. 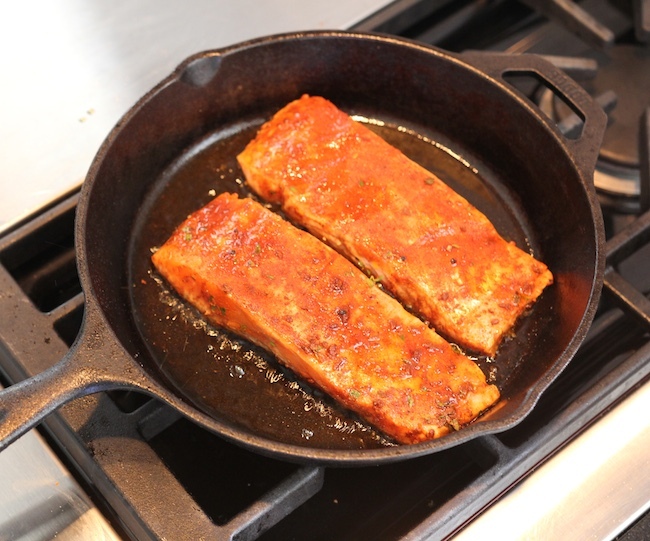 Put salmon into hot frying pan and cook for one minute to blacken fish, before turning heat down to low. Cook at low for 3 minutes. Flip salmon to cook the other side, turning back to high heat for one minute. Reduce heat to low and cook another 3 minutes until done. Remove from skillet and place on a serving plate. 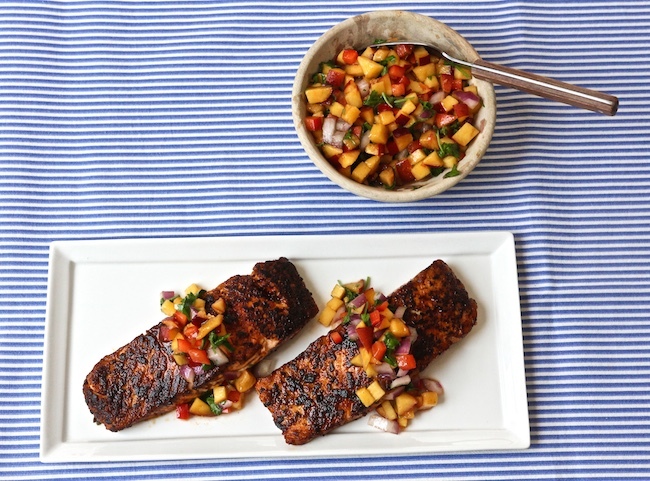 Garnish with peach salsa and serve.